In 1917, Bolton Corporation applied to Parliament for permission to build reservoirs in Roeburndale and Hindburndale, and aqueducts to carry the water 40 miles to Bolton. The Bill was examined by a Committee of the House of Lords, which decided to block it. briefly tells what happened subsequent to the Bill's rejection. Textiles had been produced in Bolton for centuries, but the plentiful availability of water in the several large rivers and streams flowing from the moors to the north of the town made it an ideal location for the cotton factories that started displacing traditional home-based manufacturing in the late eighteenth century. Water powered the new machinery for carding, spinning and weaving, and was also needed in the bleaching and dyeing industries. During the late eighteenth and early nineteenth centuries, water power was replaced by steam in the cotton mills, a change to which Bolton had no trouble adapting, thanks to its location in the Lancashire coalfield. The growing need for coal in Bolton led to the opening in 1828 of the county's first public railway, between Bolton and Leigh. 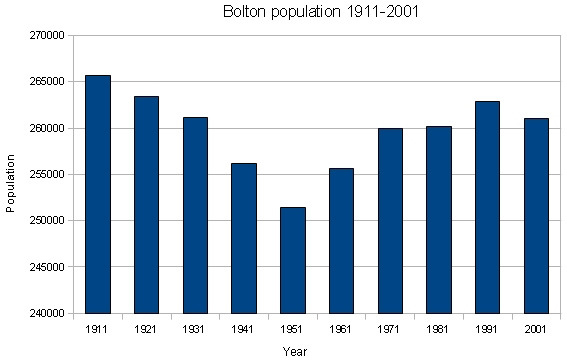 Despite the switch to steam, the overall growth in the scale of manufacturing, and of the population it sustained, made water supply a problem for Bolton throughout the nineteenth and early twentieth centuries. Much of the difficulty arose from competition between industrial and "town" requirements for water. The town was supplied by the private Bolton Waterworks Company until 1847, when water supply became the responsibility of the Corporation. Their water supply schemes faced predictable opposition from landowners, who might be forced to sell land or face restrictions on their freedom to use it, and suffer damage to their fisheries. In addition, the owners of works already taking water directly from streams and rivers understandably resisted competition for those supplies. They would have chosen a suitable site, invested heavily in land and rights, and constructed reservoirs to control the supply to their factories, and as short-term security against drought. Fishery and factory owners recognised that the town needed - and would get - water, so they co-operated, in return for compensation. If Bolton Waterworks wished to take water from a stream or river, it could do so only if it guaranteed to allow at all times a minimum flow of water below its new intake point, for use by any factories downstream and to safeguard riparian interests. This minimum was called Compensation Water. As can be seen from the table in the next section, compensation water dogged the Corporation's water engineers. 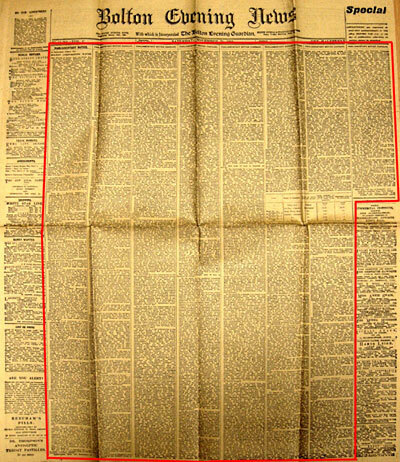 It was also ultimately a significant factor in its decision to promote the 1917 Bill. 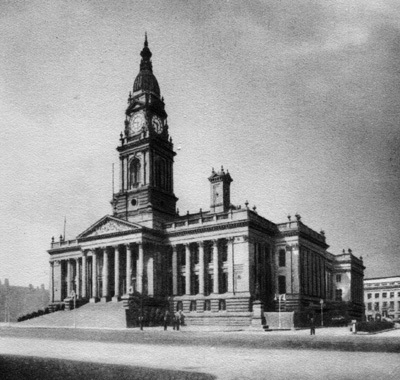 Bolton Town Hall in 1938, the centenary of the town's incorporation. A symbol of wealth and civic pride, opened in 1873 by the Prince of Wales. The "towns" of Great and Little Bolton depended for their water on wells and springs. Their yield variable and often inadequate, and also liable to serious contamination. Act authorised a reservoir on Bolton Moor which was built. Act authorised Springs Reservoir for town supply. From there it was taken to a small high-level service reservoir (where Sweetloves reservoir now is). The Act also stipulated that Belmont reservoir be built "for impounding and keeping water for the use of the owners and occupiers of estates, mills and works." The Company "had considerable difficulty in meeting the demand for water, owing to the increase in population." Act authorised Dingle reservoir, with requirement to enlarge Belmont reservoir to provide more compensation water. Bolton supply area also enlarged. Act authorised Old Hall and Heaton (service) reservoirs (completed 1857). 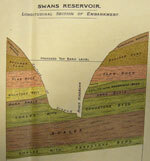 Required also to construct Rumworth reservoir to provide compensation water. Borough of Bolton Act enlarged Bolton water supply area. 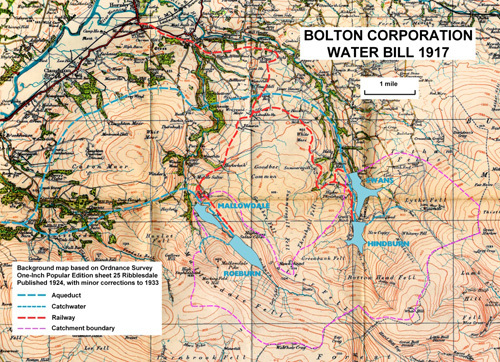 Bolton Improvement Act allowed the Corporation to dispose of Bolton Moor reservoirs. Bolton Improvement Act allowed the Corporation to acquire Turton & Entwistle reservoir, but they were obliged to construct Wayoh reservoir to provide compensation water. Bolton Improvement Act again enlarged the Bolton supply area. Bolton Corporation Act extended the Bolton supply area. Improvement Act extended supply area to that which existed in 1916. Construction of High Rid reservoir. Bolton agreed to supply water in bulk (i.e. on demand up to a specified limit, subject to availability, and at a stated price per thousand gallons) to Aspull (from 1877), Westhoughton (1879), Atherton (1891). In 1896, the Bolton Waterworks committee, faced with steadily increasing demand, and the possibility of a shortage in a period of drought, asked the Waterworks Engineer to make a report. 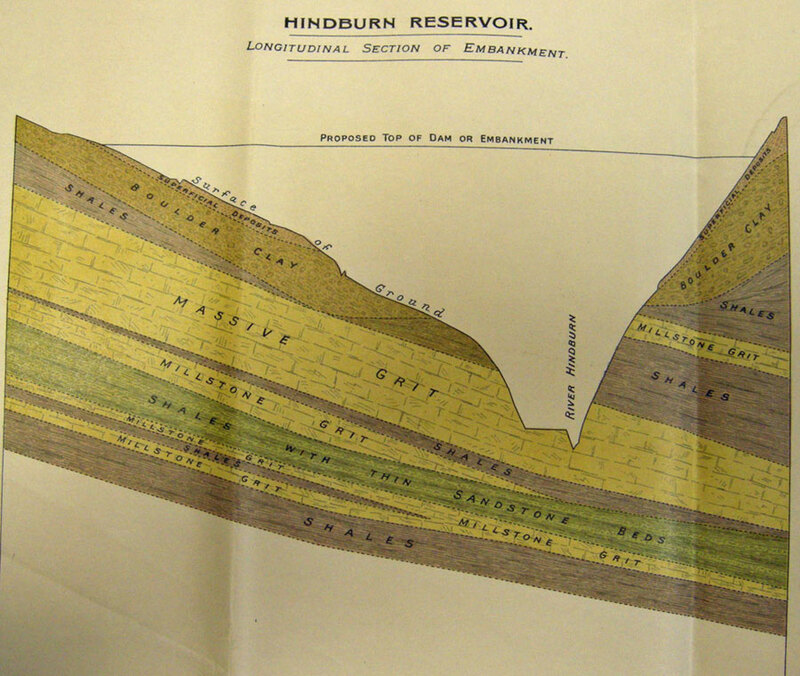 In 1901 he advised "resort to the Hodder Valley including the head waters of the River Hodder and its tributaries the Croasdale, Hasgill and Brighouse Becks", stating that a source in the Ribble watershed was needed because all nearer sources were already taken up by other towns or for industry. Two dams were proposed, the first above Cross of Greet bridge, and the second in Croasdale, near the top edge of the enclosed land. However, the Waterworks Committee thought the scheme too expensive and told the Engineer to find water closer to home. The replacement scheme, authorised by the Bolton Corporation Act 1905, was to build five new compensation reservoirs (Delph, Eagley, Hordern, Cadshaw and Broadhead) within the catchment of the town's River Croal, thus "releasing" the water in Belmont and Wayoh reservoirs for town use. It was estimated that the scheme would meet the town's needs for at least 40 years. Between 1901 and 1911, the population continued to grow, along with water consumption per head. 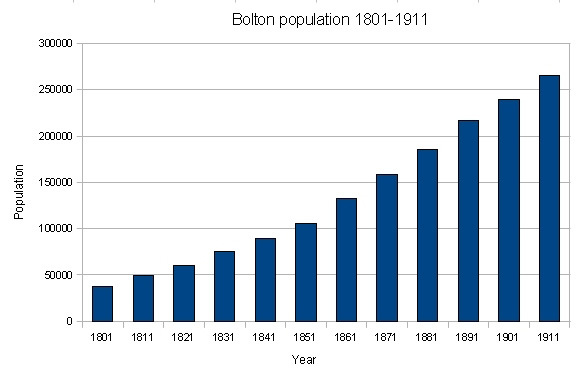 A further demand was added in 1913 when Bolton started supplying water in bulk to Darwen. Work on Delph reservoir started in 1908, but by 1915, a new Waterworks Engineer, Lewis Mitchell, had calculated that, even if all the 1905 Act works were completed, they might not be sufficient. If population and water use per head continued to rise at pre-war rates, demand would outstrip that supply by the year 1924. He therefore considered that the Corporation should abandon the rest of the 1905 Act works, and look once more for a better supply further afield. 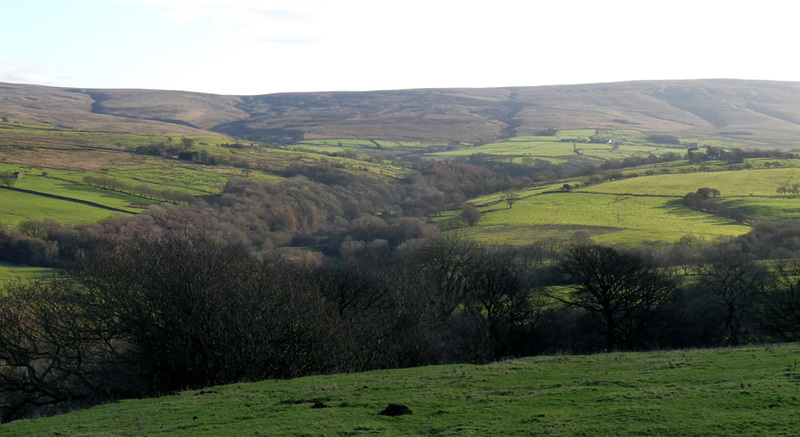 By this time, the Hodder valley had been snapped up by Fylde Water Board; its 1912 Act authorised a scheme which eventually led to the building of Stocks Reservoir. The map below shows the extent of "water board colonisation" of the Forest of Bowland in 1915, and the area soon to be coveted by Bolton. In fact, only two sources that Mitchell considered suitable for Bolton had not already been appropriated: Haweswater, and the watersheds of the Hindburn and Roeburn rivers. Mitchell restated his view that relying on these works would be imprudent, but also gave figures to show that they would be relatively expensive, because of the high level of compensation water set by the Act, and the fact that land near Bolton was extensively used for agriculture and recreation, necessitating costly treatment. He calculated a cost per thousand gallons (PTG) of 1/11½d. This watershed was "admirably adapted for the purpose of yielding a large supply of water", lying above 700 feet, mostly covered with coarse grass, with comparatively little peat-bog or water discolouration. 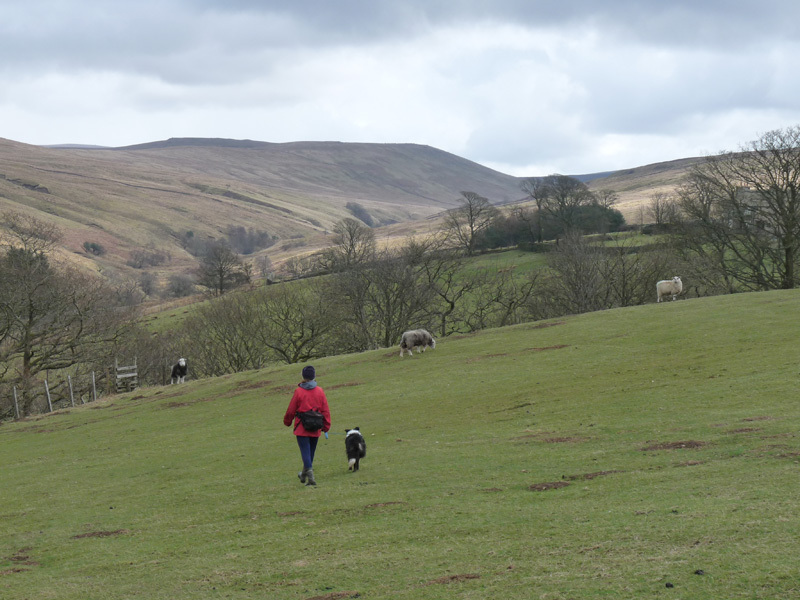 It was entirely uninhabited and uncultivated; there would be no conflict with the land use of sheep grazing; there were only two lightly used public roads, and no other public rights of way. The area of the watersheds which could be conveniently tapped (by building two dams in each valley) was 11.9 square miles, with an average daily run-off of 15.7 million gallons. Allowing one-third for compensation, that would leave 10.5 million gallons per day for the town's use. The Roeburn river alone yields 4.5 million gallons, which would suffice for Bolton until 1963, even if population and water use per head continued to rise at pre-war rates. The water quality was "unimpeachable" - it contained smaller amounts of dissolved solids, nitrates, and ammonia than local supplies, and was softer. There were no serious geological problems with the proposed four dams. The only interest likely to be affected was the Lune fishery, of which only sections between the lower dams and the confluence of the Wenning and Lune would be significantly impacted. The cost of water from the initial (Roeburndale) stages would be 10d PTG, and from the later Hindburndale stages, 11d PTG. 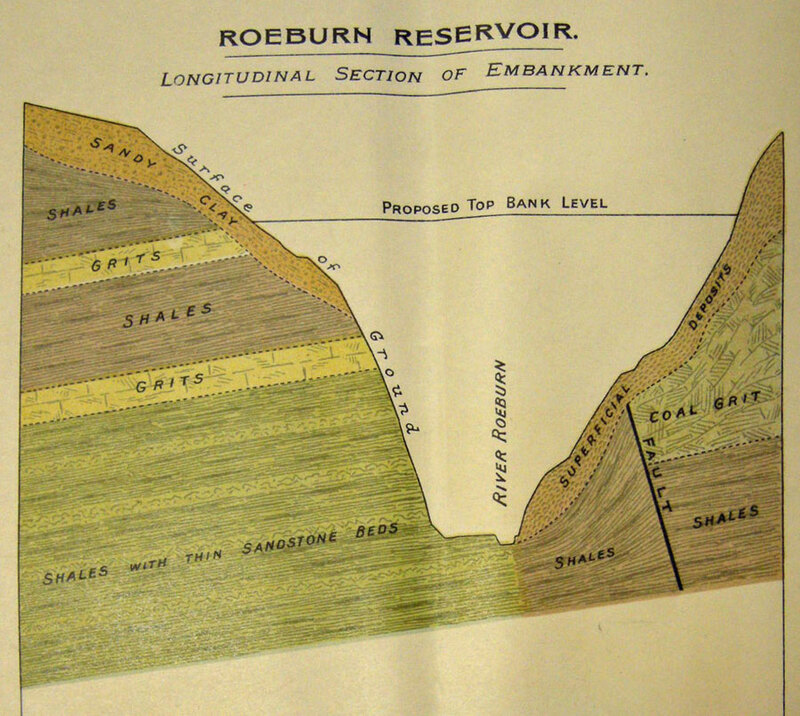 The watershed area was 12.3 square miles, the rainfall was 50% greater than Roeburndale, and the ground was "remarkably favourable for yielding a pure supply of water". However, water from Haweswater was harder, had more dissolved and suspended solids, more ammonia, and a powerful action on lead. The average daily run-off was 28 million gallons a day, so (allowing one-third for compensation) 18.4 million gallons a day would be available for the town. To gain a supply of 10.5 million gallons a day (as from the Roeburndale / Hindburndale scheme) would need a dam to raise the water level by 18 feet. The cost, for a scheme in which the pipeline was laid in 2 instalments, each providing 5¼ million gallons a day for the town, would be 13d PTG for the first stage, and 9d PTG for the second, or 11d PTG overall. Mitchell warned that Manchester Corporation "will probably promote a Bill in the next Session of Parliament for powers to acquire ... the gathering grounds of Hawes Water Lake and to appropriate the waters thereof." However, he contended that "Bolton has a greater claim upon Hawes Water than Manchester ...", because it was nearer, and because altitude considerations meant that Manchester could obtain a gravitational supply from Ullswater, whereas Bolton could only do so from Haweswater. Nevertheless, he did consider in his report a possible joint venture with Manchester (on a 50:50 split) with a larger dam (raising water level by 27 feet) and a larger pipeline, again in two instalments, with costs of 10¼d PTG for the first stage, and 8¾d PTG on completion. With little to choose between schemes b. and c. on cost grounds, and given that "... the water of the River Roeburn is the better in almost every respect ..." Mitchell recommended that the Waterworks Committee should "abrogate the powers conferred by the Bolton Corporation Act, 1905, so far as they relate to the construction of the intended Eagley, Hordern, Cadshaw and Broadhead Reservoirs, and adopt the Roeburndale Scheme as being, all things considered, the best and most eligible of the three." It also held the attraction of avoiding any involvement with Manchester. Lewis Mitchell suggested that a Bill be promoted in the next session of Parliament, and plans prepared for deposit there on 30th November 1916. The Bill described the proposed works i.e. four reservoirs, catchwaters, aqueducts from the reservoirs to Bolton, and railways, for use during construction, to connect to the Midland Railway at Hornby station. However, it did not commit Bolton to any timescale, and merely sought permission - and the exclusive right to the watershed. Roeburn reservoir, to supply 2.5 million gallons for town, plus compensation. Also lay aqueduct capable of carrying 4.5 million gallons a day to High Rid reservoir in Bolton. If started in 1918, could be complete in 1927, and cover town's needs to 1936. Mallowdale to be started in 1930 and completed in 1936. Provides compensation water, so all 4.5 million gallons a day from Roeburn available for town's use. Covers Bolton's needs till 1963. Hindburn, to supply 3.7 million gallons a day for town, plus compensation. Also lay from there to Bolton an aqueduct capable of carrying 6 million gallons a day to Bolton. Construction to start in 1945. Swans. Provides compensation water, so that all 6 million gallons a day from Hindburn are available for town's use. Construction to start in 1984. The Bill would also "empower the Corporation ... to enter upon, take, hold, and use by compulsion or agreement ... an area of land in the ... parishes of Roeburndale, Wray-with-Botton and Tatham, ... including among other lands ... parts of the watershed of the Rivers Roeburn and Hindburn, and the moors or parts of the moors known as Mallowdale Fell, Goodber Fell, Thrushgill Fell, Summersgill Fell, Greenbank Fell, Salter Fell, Botton Head Fell, Whiteray Fell and Lythe Fell." After publication of the plans, there followed a public consultation. Letters were written to anyone who it was thought might be affected in any way by the proposal. They - and anyone else - could later petition Parliament to block or modify the Bill. In the Roeburndale and Hindburndale area, letters were written to the Parish Councils, to land owners and occupiers, to the secretary of the Lythe Fell and Burn Moor Stint Holders, and to each of the individual stint holders. Many local consultees accepted the plans, subject to certain assurances, e.g. the stintholders replied that they would not object, provided that their rights to graze stock and to cut turf and rushes were not curtailed. Others would be more seriously affected. The Reverend James Fell of Arnside, owner of the Thrushgill Estates, stood to lose from Upper and Lower Thrushgill farms "all the meadow land except for a field and a half, practically all the arable land, and all the modern buildings" and complained that this would be "severance of the worst kind". 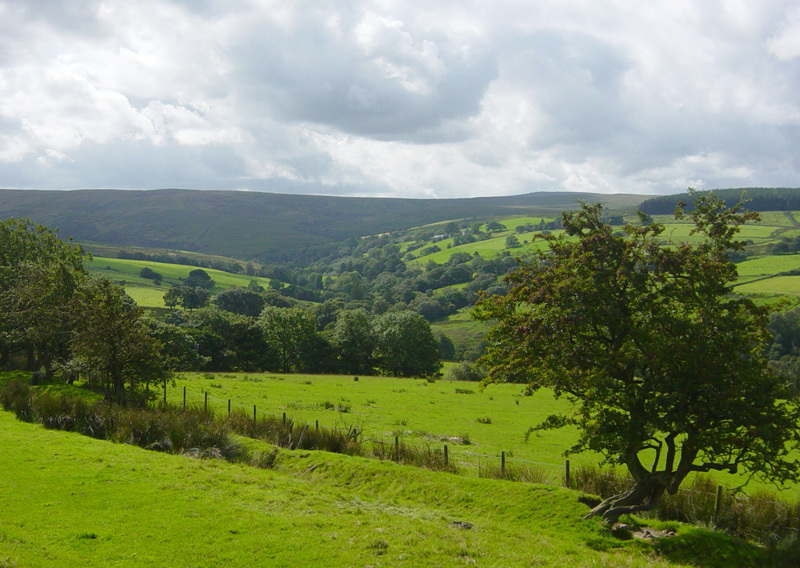 Lunesdale Rural District Council, which considered the water to be theirs, wanted to reserve the right to use it for local supply, and demanded that, if the scheme went ahead, they be entitled to a supply of 250,000 gallons a day, free of charge. Morecambe Corporation, which objected for similar reasons to the Roeburn valley being taken, though it had no objection to the Hindburn part of the scheme. Henry Cyril Warneford Foster of Hornby Castle, who objected to interference with his land and water. William Morley Saunders of Wennington Hall, who also objected to interference with his land and water. The Lune Board of Conservators, who objected on the grounds of potential damage to fisheries. Further afield, there were objections from people and bodies affected by the aqueduct in its course from Roeburndale to Bolton, and from landowners near Bolton who stood to lose if the 1905 Act works were abandoned. The most potentially damaging Petition came from a consortium of district councils neighbouring Bolton - all of them supplied by Bolton Corporation Waterworks. Their objection was mainly on the grounds that the Roeburndale/Hindburndale scheme was not as financially competitive as portrayed by Lewis Mitchell, and would in fact lead to great increases in the prices they paid for their supplies. The petition challenged Mitchell's calculations, which were based on certain assumptions about the cost of borrowing money to pay for the project. The House of Lords Select Committee on the Bolton Corporation Water Bill sat from 19th to 26th April 1917, with the Earl of Camperdown in the Chair. Two barristers, Mr. Honoratus Lloyd and Mr. Jeeves, appeared for the Corporation, and the various petitioners were represented by Mr. Wedderburn and others. 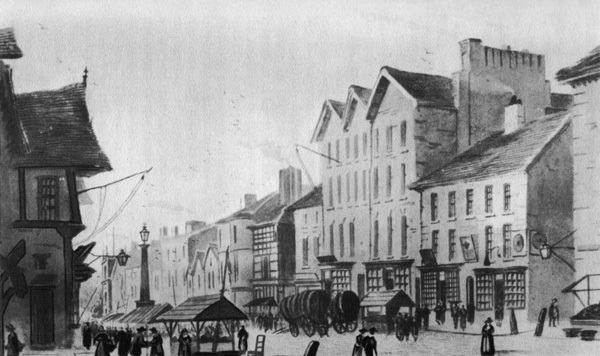 The Bill was introduced by Mr. Lloyd, and next day the Bolton Waterworks Engineer appeared as witness and was grilled by the chairman and opposing barristers, who had all spotted the Bill's critical weaknesses: money and Manchester. Mr. Wedderburn quoted - from Mitchell's own report - the recommendation of a Royal Commission chaired by the Duke of Richmond in 1893, that "a group of towns uniting together may go for a much better and more perfect scheme than any one of them separately.... We therefore consider that when any town belonging to a large group ... comes to Parliament for a Water Bill, the scheme should be so designed as to include the whole group". Mr. Wedderburn also noted that Bolton was aware of Manchester's plans for Haweswater, and had considered - and rejected - a joint scheme. He followed this with: "You are suggesting by this Bill that Bolton should expend two and a half millions ... as against the risk being taken by Manchester ... going for the Hawes Water scheme, and Bolton getting its water from the Manchester Hawes scheme and getting it cheaper?" This question was well-aimed, and Mitchell was unable to provide a convincing answer. He also floundered when pressed on his financial calculations, and on the need to reserve rights which, on his own projections might not be needed for 70 years, and if those projections proved too high, might never be needed. Over the next few days, the Committee heard further evidence, but it was not until the 25th that the Chairman announced, without preamble or explanation, that the Committee had "decided that it is not expedient that the Bill should proceed". 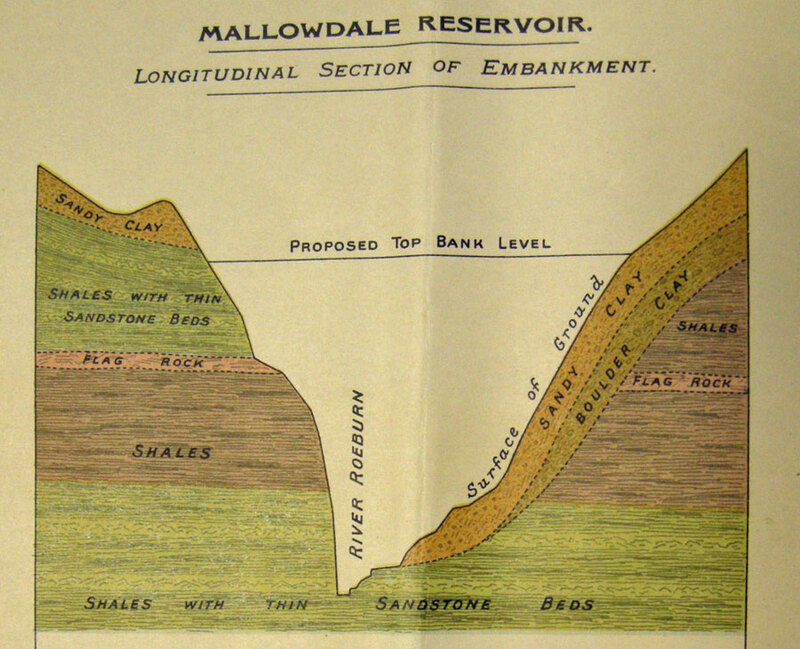 In 1919, Manchester promoted its Bill to allow it to use Haweswater. Bolton petitioned against the Bill, not out of spite, or in any serious hope of stopping it, but to try and ensure that Bolton would be supplied by Manchester, and on the most favourable terms it could obtain. The Bill became law as the Manchester Corporation Act 1919; the Haweswater works started in 1929, stopped during the Great Depression, restarted in 1935, and first supplied water in 1941. The population fall solved the town's water problems for the next quarter-century. Work was never started on the four remaining reservoirs authorised by the 1905 Act, but Bolton managed nevertheless to get by on its own local resources until the 1940s, when it finally gained access to Manchester's Thirlmere and Haweswater supplies. If the full scheme promoted in the 1917 Bill had been built, how different would Hindburndale and Roeburndale be today? Obviously there would be two reservoirs in each valley, and some familiar views would be very different. You will need to have Google Earth installed on your computer; it's FREE - click here to download and install. To go for a virtual flight over the reservoirs, hold down the Shift key, then place the cursor in the middle of the screen and drag it down. This will tilt the map and give you an oblique 3D view. You can then zoom, pan, drag etc. With a little practice you can fly right round the area and inspect each reservoir. Hindburn reservoir would have been started in 1945, Swans in 1984. By then the 1917 plans would have been very dated. Road transport would probably have been preferred to rail by 1945, and by 1984 would have been the only option, as a result of the closure in 1966 of the Hornby line; so the "branch line" construction railway from near Leylands to Greenbank and Botton Mill would never have been built, and we would probably have instead new and/or wider roads along the access routes. Several farms would have been deprived of good land and made less viable, forcing some to be abandoned, immediately or in the longer term. The watershed and reservoirs would be owned by United Utilities. Temporary navvy villages would have been built in each valley, bringing social changes similar to those that came with the building of the Haweswater aqueduct Bowland Tunnel in the late 1940s. (The Bowland Tunnel itself actually passes under the proposed Hindburn dam). A final "what if?" is whether the 1967 Wray Flood would have happened. Nobody knew in 1917 that British cotton was in decline, and Bolton with it. So why was the scheme rejected? It was certainly ambitious and expensive for a town of Bolton's size, but not uniquely so. For example, the Stocks Reservoir scheme, authorised by the Fylde Water Board Act of 1912, served a population of similar size and required a 30-mile aqueduct; and Cardiff (whose population doubled from 71,000 to 142,000 between 1871 to 1891) had built the first of a series of reservoirs 32 miles away in the Brecon Beacons during the 1880s. Lewis Mitchell wanted a once-and-for-all solution to Bolton's water problems, and - perhaps partly for reasons of personal ambition - chose to ignore the possibilities arising from Manchester's clear intentions for Haweswater, in favour of a scheme which would allow Bolton to keep control of its water resources - a doubtful advantage, but one which would have appealed to the Corporation. Possibly the same scheme, or Bolton's discarded Hodder scheme, if presented to Parliament in 1901, would have been passed. By 1917, it was too late; the era of major development proposals - often ill-considered and hastily designed - determined individually by parliamentary bill, was drawing to a close. 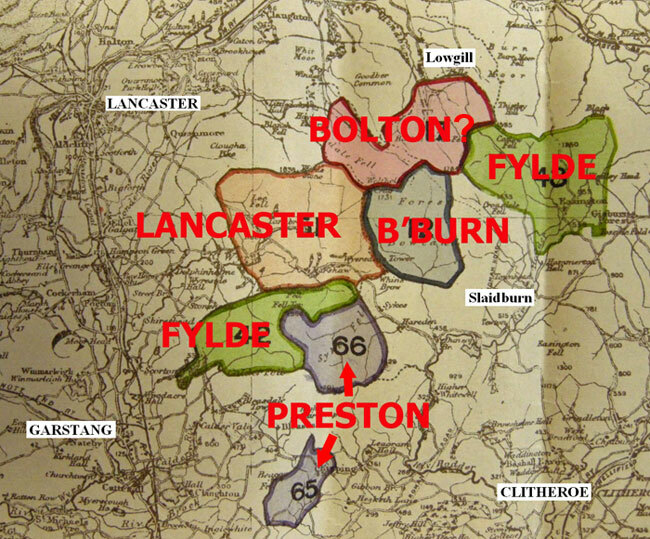 Their Lordships saved Bolton the unnecessary expense of buying Roeburndale and Hindburndale, which, after two years of mysterious visitors, surveyors, letters, and doubtless rumour and uncertainty, could return to peaceful obscurity. The author is grateful to Bolton Library and Museum Services for their help in preparing this article. J. Hassan & P. Taylor, 'The politics of water in early and mid-Victorian Britain: the experience of Bolton', Transactions of the Historic Society of Lancashire & Cheshire, Vol. 148 (Liverpool, 1999), pp. 119-145.